Indian actor Irrfan Khan returned to the films with the sequel of his earlier hit Hindi Medium. The actor has started filming for the flick which has now been christened as Angrezi Medium. 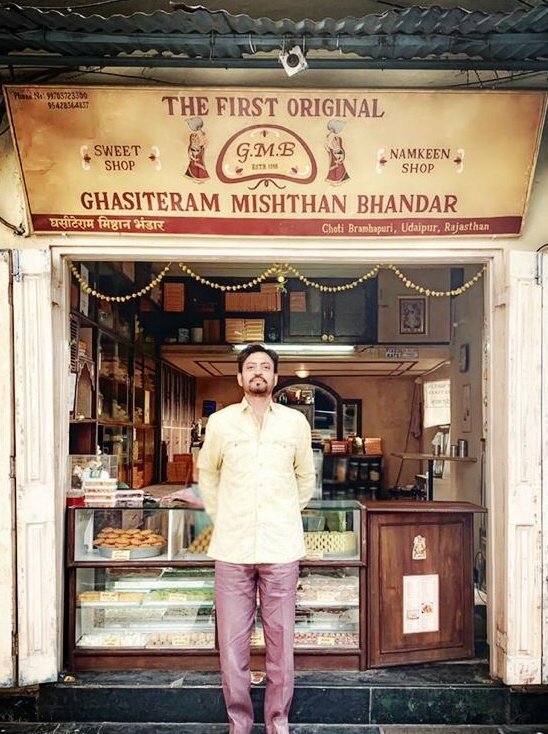 Irrfan shared a picture from the film as he introduces his character Champakji. The film also stars Radhika Madan who also took her Instagram account to share a picture from the first day on sets. The actress was seen in the film Mard Ko Dard Nahi Hota. There were earlier reports that Kareena Kapoor would also be a part of the film but there is been no official confirmation from the makers. The upcoming film is directed by Homi Adjania under Dinesh Vijan’s Maddock Films banner. The principal photography of the film started from April 5, 2019 in Udaipur and the second schedule will begin in London. The film is the sequel to the 2017 film Hindi Medium.